Solo travel is a major travel trend of the past few years. Travellers are no longer being held back by the fact that they might not have someone who can, or wants, to join them on a trip. 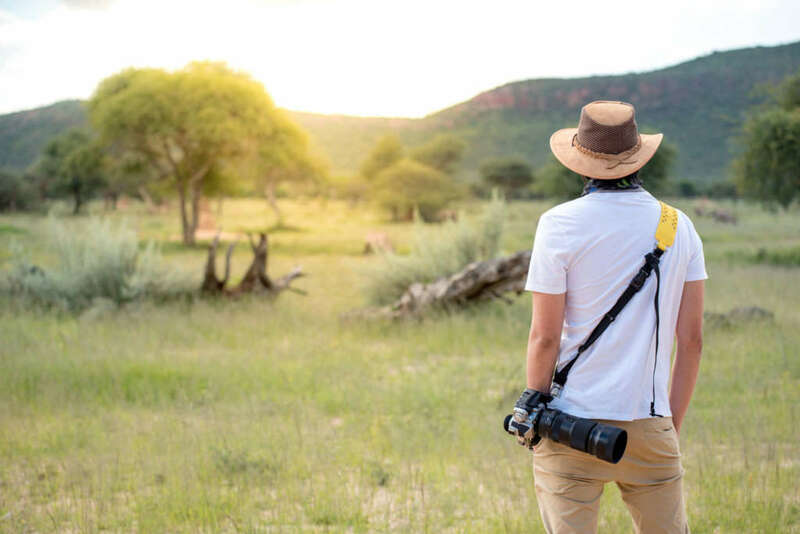 And safari companies are cottoning onto this too, with many lodges ditching the single supplement during low and shoulder seasons to encourage more single travellers to stay with them. 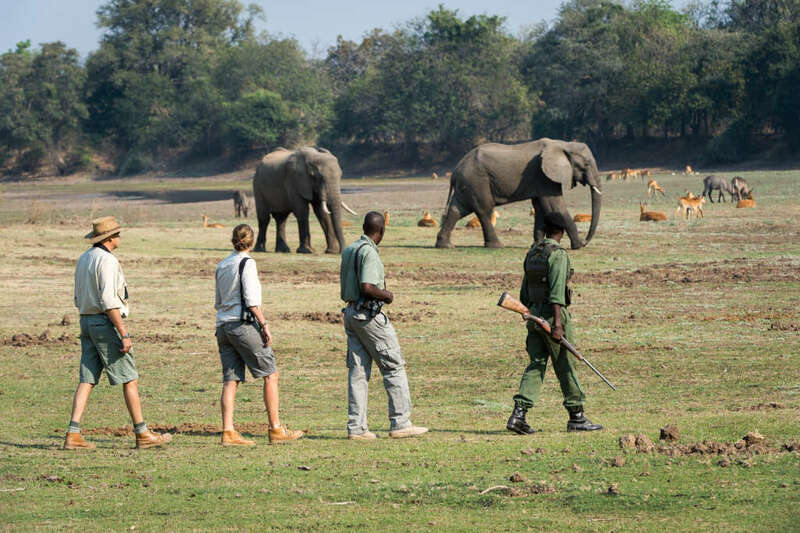 Walking from Somalisa Expeditions, Hwange National Park – a great destination for solo travellers. Safaris are perfect for solo travel. First of all, you’re hosted from start to finish, by your guide and team at the lodge or camp. Many solo travellers dread mealtimes, but many safari camps have communal dining arrangements – and if they don’t, often your guide will join you. Of course, if you want to be alone, that’s fine too. These are four of the best safaris in Africa for solo travel. Solo travel is not as daunting as you might think, especially when on safari. 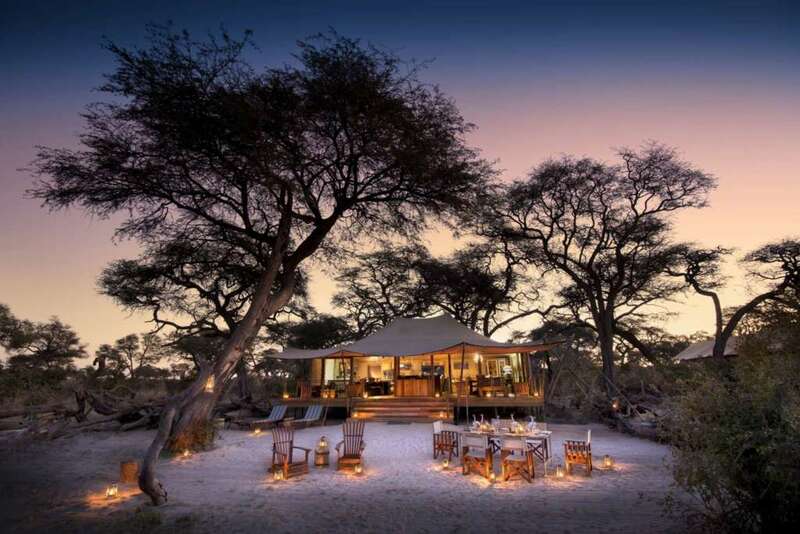 This Hwange National Park camp was created in the style of the original Somalisa Camp, which has been upgraded to a more luxurious level in recent years. Some of the original Somalisa guests missed the old tents, so the owners built Somalisa Expeditions. Expeditions is a luxury version of traditional safari camps, with spacious tents, en-suite bathrooms and an open communal area. The firepit and main area at Somalisa Expeditions, Zimbabwe. Guests all dine together, which makes it ideal for single travellers, and throughout green season and the shoulder season (November through to June) there is no single supplement. 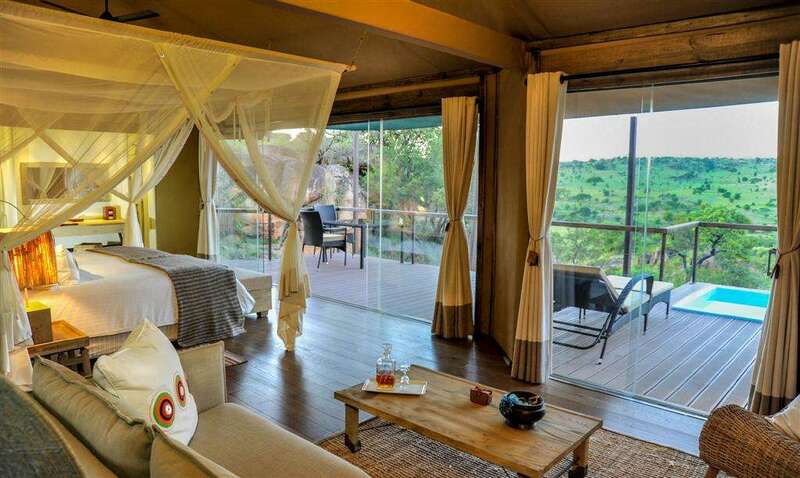 Lemala Kuria Hills is the most high-end of the Lemala Serengeti camps, located near the main corridor through which the wildebeest usually move on their annual migration. There are 15 suites with private plunge pools and decks with sensational views of the surrounding rocky hills. The guestrooms at Lemala Kuria Hills have private plunge pools. From November until the end of June, there is no single supplement at Lemala Kuria Hills. The original Robin Pope camp, Tena Tena is in South Luangwa National Park and each of the six tents has a view of the Luangwa River. This is such a wild and beautiful area of Africa, and this intimate, friendly camp is ideal for solo travellers, as much as groups and couples. Walking at Tena Tena. Credit: Robin Pope Safaris. 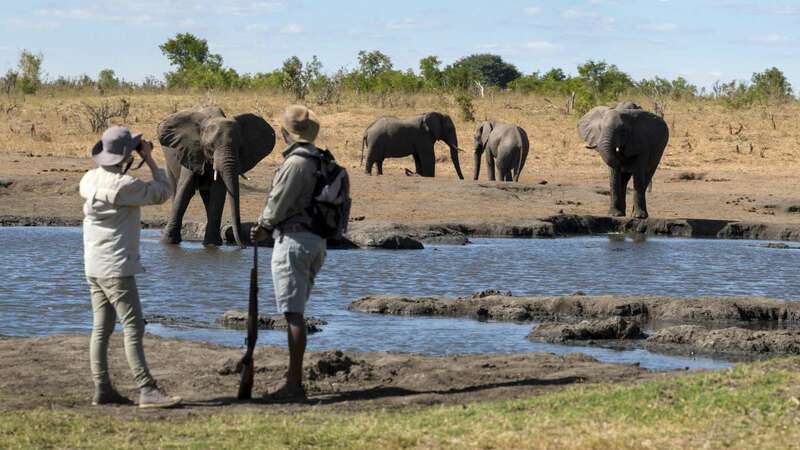 Robin Pope camps never have single supplements, so these are great options for solo travellers, especially those who love walking – after all, Zambia is the home of the walking safari. Gorilla trekking is a bucket-list, once-in-a-lifetime trip for most of us. But it’s often the case that a person’s partner, their friends or family members might not be interested in such an adventure or be physically able to trek in the jungle, a hike that is often arduous. It’s the type of trip that is important and special enough for many to make alone, even if they’re not used to solo travel. 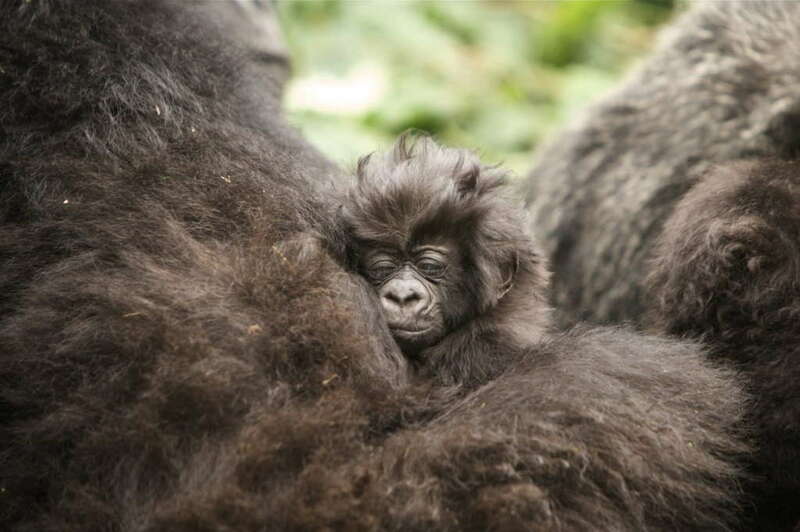 A one-month-old gorilla, photographed in Rwanda. One of the most anticipated openings of 2019, is that of Singita’s first venture into Rwanda, Kwitonda Lodge. And the best thing for travellers planning a solo adventure is that there is no single supplement (unless over three single rooms are reserved in one booking). Book now!